Tax-related identity theft occurs when someone uses your stolen Social Security number to file a tax return claiming a fraudulent refund. It presents challenges to individuals, businesses, organizations and government agencies, including the IRS. Learning that you are a victim of identity theft can be a stressful event and you may not be aware that someone has stolen your identity. In many cases, the IRS may be the first to let you know you’re a victim of ID theft after you try to file your taxes. The IRS is working hard to stop identity theft using a strategy of prevention, detection, and victim assistance. In 2015, the IRS stopped 1.4 million confirmed ID theft returns and protected $8.7 billion. In the past couple of years, more than 2,000 people have been convicted of filing fraudulent ID theft returns. And, in 2014, the IRS stopped more than $15 billion of fraudulent refunds, including those related to identity theft. Additionally, as the IRS improves its processing filters, the agency has also been able to halt more suspicious returns before they are processed. 1. Protect your Records. 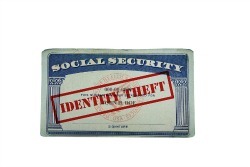 Do not carry your Social Security card or other documents with your SSN on them. Only provide your SSN (social Security Number) if it’s necessary and you know the person requesting it. Protect your personal information at home and protect your computers with anti-spam and anti-virus software. Routinely change passwords for all of your Internet accounts. 2. Don’t Fall for IRS Scams. Criminals often try to impersonate your bank, credit card company, and even the IRS in order to steal your personal data. Learn to recognize and avoid those fake emails and texts. 3. Beware of Threatening Phone Calls. Correspondence from the IRS is always in the form of a letter in the mail. The IRS will not call you threatening a lawsuit, arrest, or to demand an immediate tax payment using a prepaid debit card, gift card, or wire transfer. People should be on the lookout for IRS impersonators calling students and demanding that they wire money immediately to pay a fake “federal student tax.” If the person does not comply, the scammer becomes aggressive and threatens to report the student to the police to be arrested. File an IRS Form 14039 Identity Theft Affidavit. Print the form and mail or fax it according to the instructions. You may include it with your paper return. Contact one of the three credit bureaus so they can place a fraud alert or credit freeze on your account. 5. Complete an IRS Form 14039 Identity Theft Affidavit. Once you’ve filed a police report, file an IRS Form 14039 Identity Theft Affidavit (see below). Print the form and mail or fax it according to the instructions. Continue to pay your taxes and file your tax return, even if you must do so by filing on paper. 6. IRS Notices and Letters. If the IRS identifies a suspicious tax return with your SSN, it may send you a letter asking you to verify your identity by calling a special number or visiting a Taxpayer Assistance Center. This is to protect you from tax-related identity theft. 10. IRS Options. Information about tax-related identity theft is available online at IRS.gov. The IRS has a special section on IRS.gov devoted to identity theft and a phone number available for victims to obtain assistance. If you have any questions about identity theft and your taxes, don’t hesitate to call the office for assistance from an accountant.